This is Sierra, a 15 year old dream hunter. She lives in a world that uses dreams as energy, so she goes out in the middle of the night and collects dreams which, in this story, manifest themselves into spheres after the dreamer leaves the REM cycle of sleep (when you usually dream). 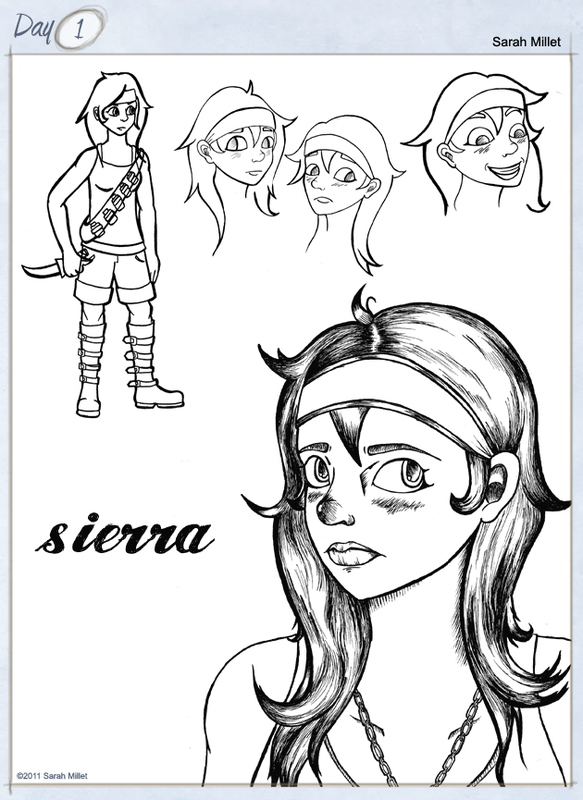 Sierra is a tomboy at heart and her hair is in a constant state of bedhead. She is generally carefree but has a tendency to be overprotective and worry a lot, especially about her sidekick (who you will see soon!) who she considers to be her little sister. She is agile, fast and uses a dagger to protect herself. She also has a bandoleer that she wears that holds little mason jars/bottles. These little jars are filled with potions, spells and distractions which she often uses against her enemies.